Introducing the first of our new Fall lines, Painted Sky is a superwash 100% wool with a gradient random strip created by a ply that resembles hand spun yarn. 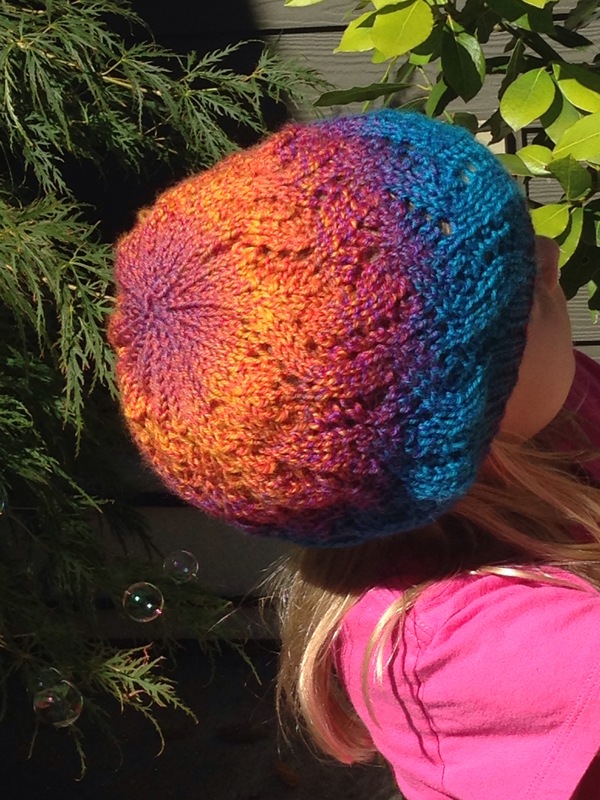 The Hermaness Worsted: this free hat pattern can be found on Ravelry. 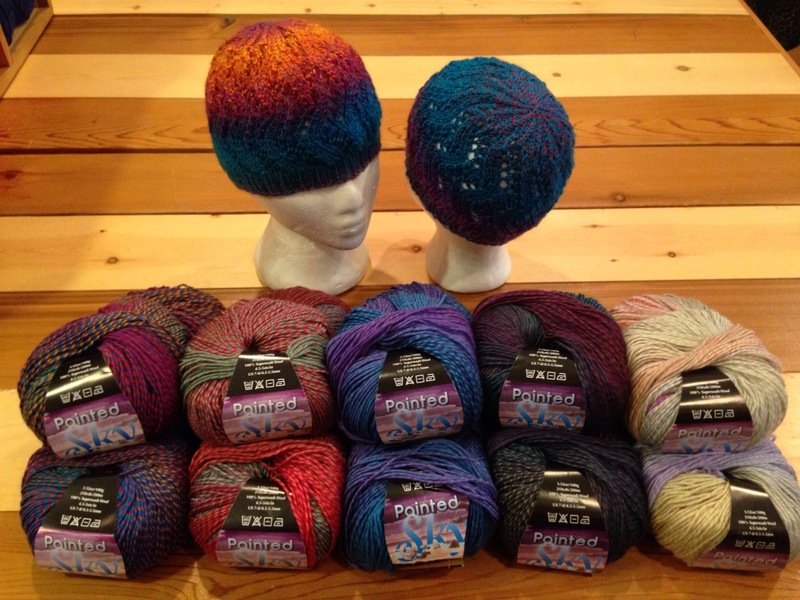 We stock Painted Sky in five different colourways. 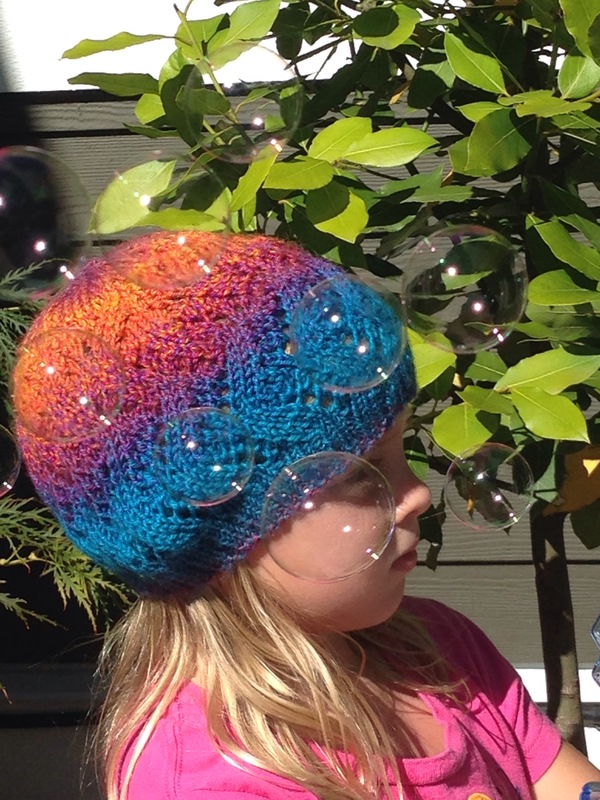 And with 218 yards/100g, I was able to knit an adult hat and a matching child’s hat from a single ball. 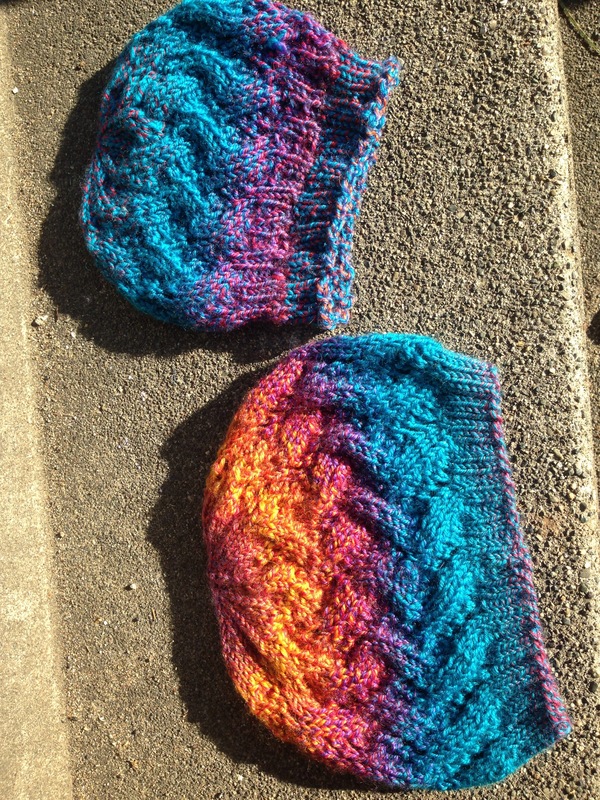 Two hats for two sisters.